I’ve been using Particle boards for years for home automation and other simple tasks. In February they announced a shift to a line they call ‘Particle Mesh’ that comes in the Adafruit Feather pin arrangement. That makes them optimal for a project I’m working on. In any case I finally had my pre-order arrive with chips and since Particle has been coy about photos here are high resolution photos of all three boards top and bottom. My first look: these are very well made. Chips are uniformly placed, solder looks consistently good. Radio stuff is well shielded. Thumbs up. The simplest of the crew, this is Bluetooth-only mesh. Interestingly this board uses what seem to be castellated pin-holes and has nothing on the bottom but a U.Fl connector so it could theoretically be surface-mounted. The Argon is Wifi and Bluetooth. 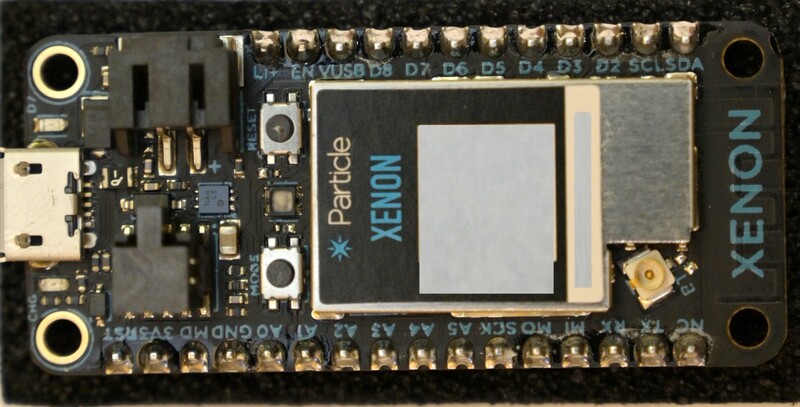 The Boron support Bluetooth and LTE M1 (and possibly other cell protocols).